Anyways, just saw something I thought you all would get a kick out of. 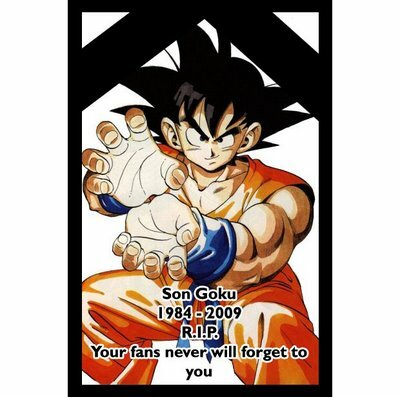 More fan anger toward the Dragon Ball Evolution movie as ans weep on the loss of our dear Goku as Justin Chawin practically killed him in his sad role as the FOX version of Goku. Just remember that the is now Dragon Ball Kai to hopefully make you feel better. Be back will more updates on the way and a full review of the DS game, Lux Pain.